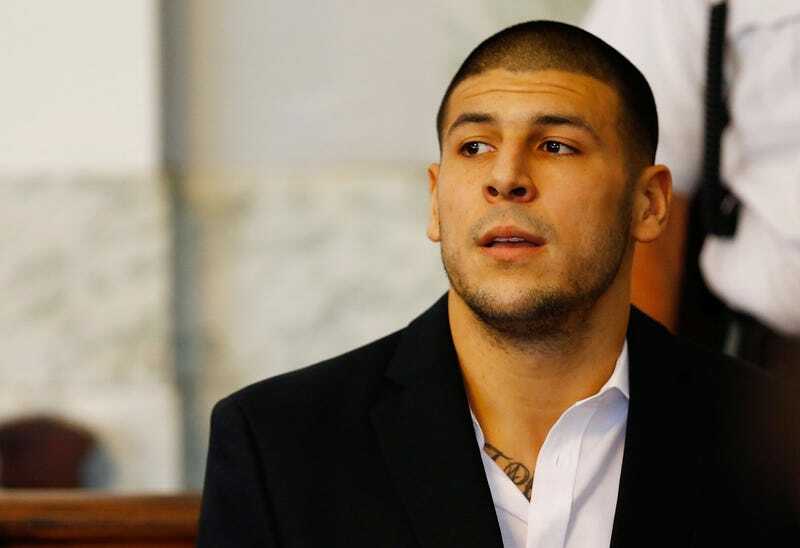 Five handwritten letters obtained by CNN penned by Hernandez during his stay at Souza-Baranowski Correctional Center in Massachusetts show that the former football player wanted to be moved to a section of the prison called P2. In April, Hernandez was found hanged in his cell shortly after being acquitted for the 2012 double homicide of Daniel Jorge Correia de Abreu, 29, and Safiro Teixeira Furtado, 28. He was serving a life sentence for the 2013 murder of Odin Lloyd, but it was overturned after his suicide because he died before his conviction could be heard. Several news outlets have reported that Hernandez was bisexual, claims that his fiancee, Shayanna Jenkins-Hernandez, has strongly denied. The couple were never married, but she took his last name shortly after he was arrested.